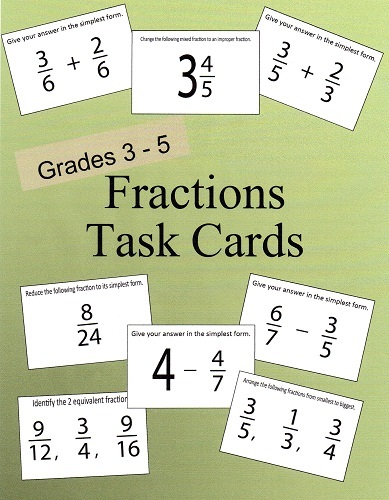 All fractions have a numerator and a denominator. 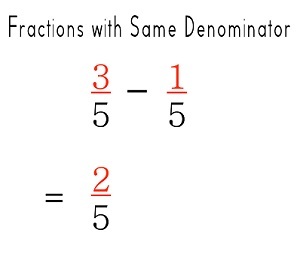 The first step in subtracting 2 fractions is to check if both denominators are the same number (like denominators) or different numbers (unlike denominators). 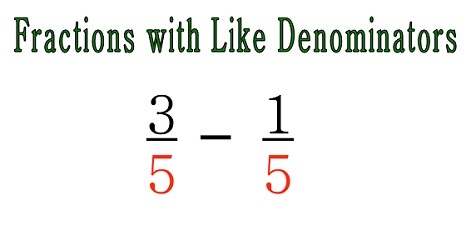 Fractions whose denominators are the same are the easiest to subtract. You just need to subtract the numerators and leave the denominator unchanged. When fractions have different denominators, we have to change them so they both have the same denominator. We do this by finding the lowest common multiple of the 2 numbers. We use equivalent fractions. 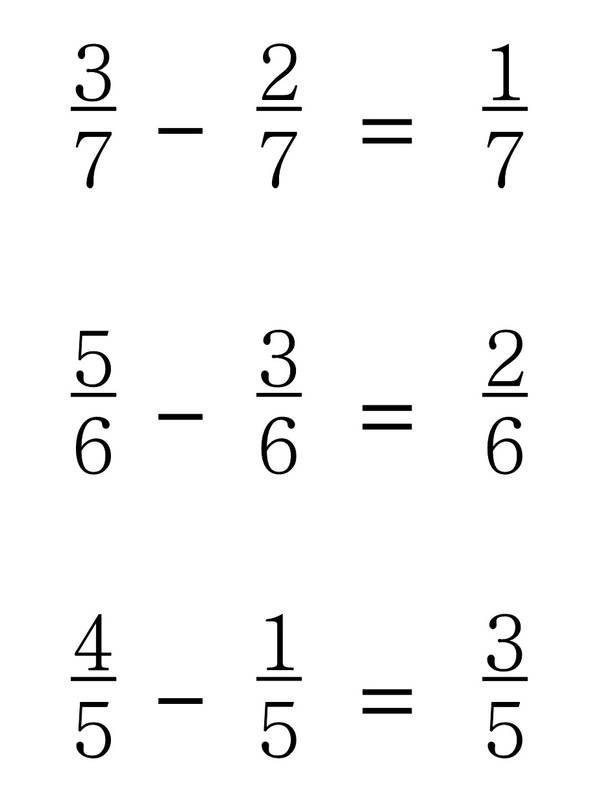 In this example, the denominators are 3 and 2. We write out the first few multiples (Times Tables) of 3 and 2. We see that 6 is the smallest number that occurs in both tables (lowest common multiple). We can now change both fractions so that they have the same denominator. We are changing each fraction to its equivalent fraction. 6 is the second multiple of 3 so we need to multiply both the numerator as well as the denominator by 2. 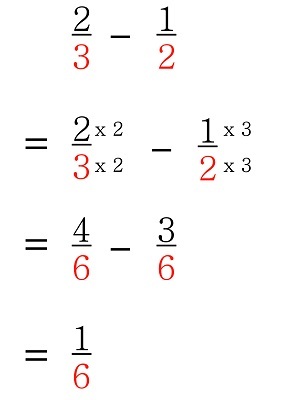 6 is the third multiple of 2 so we need to multiply both the numerator as well as denominator by 3. 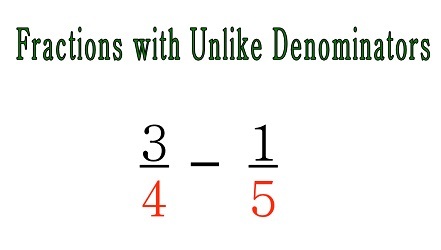 We cannot subtract the fractions with unlike denominators because each portion of the fraction is of a different size. We need to change them to an equal size. 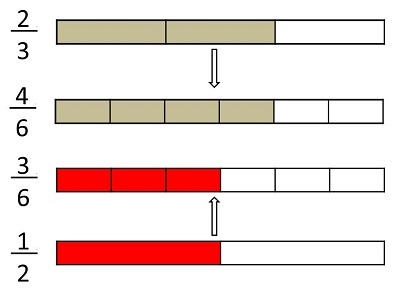 Each portion of the equivalent fractions is now of an equal size. We can easily subtract 3 portions from 4 portions. Did you find this page useful? Share it!